Artificial Intelligence is something I’ve long had an interest in, mostly from a sci-fi perspective but increasingly in the real-world applications available. When you think AI, you are more likely to think about the likes of Terminator or Person of Interest than you are of what is possible today. I personally hope that when we do breakthrough into Artificial Super Intelligence it is more “The Machine” than “SkyNet”. I think we are still a way off so no need to panic just yet. The difference between the general-purpose AI of sci-fi and what we have today is vast, current solutions focus on solving specific problems. I have been around people in this field from very early in my career, working with scientists that used genetic algorithms to help research drug candidates to now where tools like ActiveIQ and ELIO help provide day to day support services. Advancements in both software and hardware technology are providing us with more capabilities than ever before. We are truly into the realm of the possible when it comes to applying AI to solve the modern problems of humanity. With evolution of self-driving cars to IoT medical devices that can alert healthcare personnel of when a patient needs their bandages changing, AI is at the forefront of research and development the world over. More and more businesses will be embracing what AI can offer to bring their products to market faster and provide better services to their customers. We aren’t at the self-aware stages with robot armies building themselves, so we need reliable, tested architectures to provide to these businesses so that they can get on with what they do best, furthering the field of AI and applying it to solve challenges. 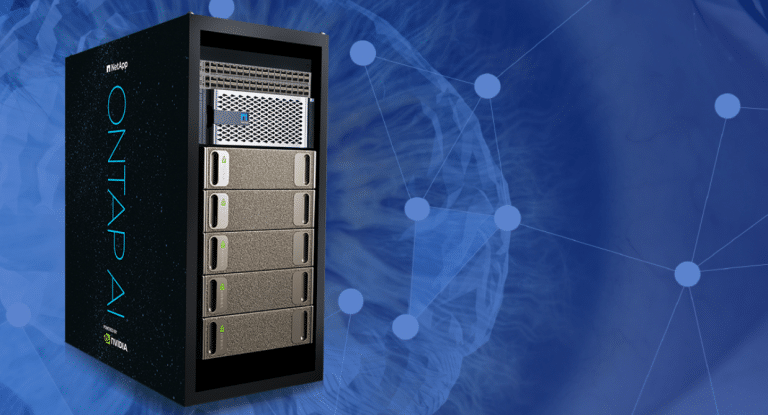 Today we have an exciting announcement, the launch of NetApp ONTAP AI proven architecture, powered by NVIDIA DGX supercomputers and NetApp AFF A800 cloud-connected all-flash storage. Building on NetApp’s experience in the Converged Infrastructure space here is a verified architecture utilising proven technologies from NetApp, Cisco and NVIDIA; specifically, NetApp A800 all-flash storage, Cisco Nexus 3232C switches and NVIDIA DGX-1 Servers. This gives you a platform for Deep Learning/Artificial Intelligence applications, that is simple to deploy, delivers performance and scalability, and helps customers to build an integrated data pipeline. That last part might be what interests me the most, given NetApp’s ever-growing portfolio of products they can support customers from edge to core to cloud. Leveraging common features and the Data Fabric throughout your data life-cycle. This is something that makes the NetApp and NVIDIA partnership stand out within the industry. 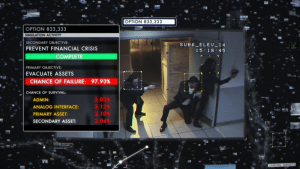 The ability to capture the data where and when you want it. Move that data efficiently within a common transport. Process and analyse where you need to across a wide range of on-premises and cloud solutions. Bringing that Data Fabric message to practical applications of AI is something that for me will be a huge differentiator and opens new possibilities in this field. Along with the usual press releases and a great webcast we have some technical collateral released today. This platform has been a long time in the making and is being used in the wild, this means that the quality of the technical documents is top notch and the references are there for all to see. Not a case of marketing hype with little to back up the claims. Having worked for a long time on systems like FlexPod, seeing similar NetApp Verified Architecture documents for emerging systems gives me great confidence. Working as an architect these documents are your go to resources for mastering new customer solutions. The NVA documents follow a great format highlighting what the solution sets out to achieve, a technical overview of the components and how the reference architecture was constructed, through to testing parameters and results. The white paper provides an insight into just how much thought has gone into the solution overall. It ties together real-world use cases/deployment models and showcases solutions across the three realms of AI infrastructure. For me the most interesting part of this is seeing the industrial applications of ONTAP Select for data collection and edge processing. With the boom in IoT and the types of devices we could potentially see in many areas, you won’t always have the luxury of a fully kitted out data centre when you are in the middle of nowhere. Seeing that NetApp have considered this angle already and are working with others to build these solutions shows me that they are committed and ready to execute on AI. The customer success story is something that I have seen first-hand, earlier this year I visited the new NetApp Data Visionary Centre in Sunnyvale. 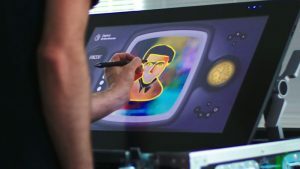 Here I was able to try out Vincent for myself and see how the work of Cambridge Consultants can bring the simplest of drawings to life as a professional looking masterpiece. Cambridge Consultants are a local company to me and I am hoping that I may get the chance to speak to them more about their technology, how NetApp and NVIDIA have helped their business and where they see the future of AI heading. Stay tuned as if I can get that sorted I’ll post some follow up content. 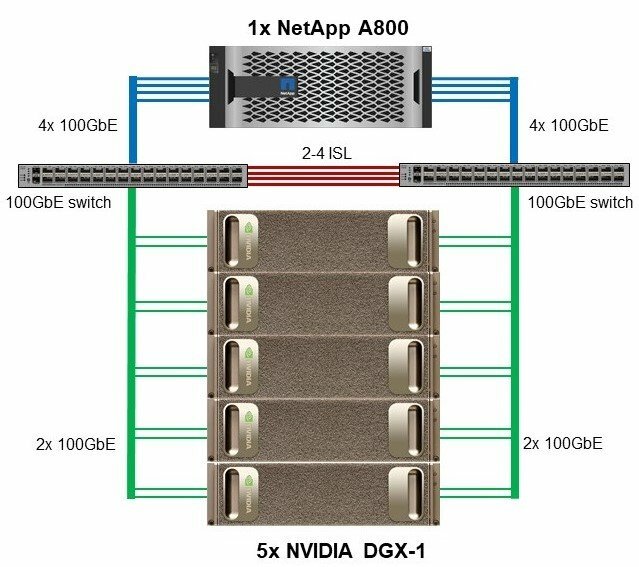 Final thoughts from me, NetApp and NVIDIA have a strong proposition here with some unique benefits provided by the flexibility of ONTAP and the Data Fabric. I am looking forward to working on these systems and I will be watching closely to see what advancements in the field can be made by such scalable and high-performance offerings. Here are the links to the announcement and all the documents I referenced, I hope you find these useful and enjoy reading them as much as I have.